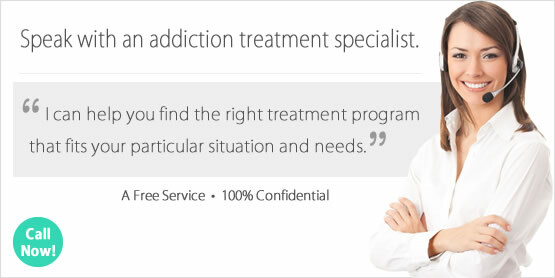 Looking for a Drug Rehab or Alcohol Rehab Program in Texas? An internet search for drug rehab in Texas will result in numerous drug and alcohol treatment programs. To help narrow down the choices, it may be beneficial to speak with an addiction counselor or treatment professional. These individuals can uncover the severity of the addiction problem and determine what type of care is best to help the addicted person make a real and lasting recovery. The initial choice when considering drug rehab in Texas is whether to enroll in an outpatient or inpatient program. Outpatient drug rehab programs are ideal for individuals who need to uphold personal obligations such as work or school. This type of treatment method allows the recovering person to continue to live at home while receiving addiction rehabilitation services. It is important to note, choosing outpatient treatment will only be effective if the individual is able to maintain their sobriety when away from the treatment facility. A substance-free living environment is essential for outpatient rehab in Texas to be successful. The length of outpatient treatment varies, and can range from around a month to several months. Inpatient drug rehab in Texas provides the stability of a substance-free environment during recovery as well as support 24/7. The program participant moves into the rehab program during their recovery and lives among other recovering individuals. This often fosters a sense of community, as everyone around is working on achieving the same goal of sobriety. While this type of treatment is usually more expensive than outpatient care, it provides structure and support not possible in an outpatient facility. Inpatient drug rehab programs range from short-term treatment lasting several weeks to around a month, to long-term programs of 3 to 6 months. Drug abuse trends in Texas from the Proceedings of the Community Epidemiology Work Group, June 2014 show an increased presence and use of the drug P2P methamphetamine made in Mexico as well as heroin use by young adults in the state. The formula of P2P methamphetamine has a higher purity and potency than before. Smugglers bring liquid methamphetamine into Texas, which is then converted into "ice". Street outreach workers indicate the new high potency meth found throughout Texas has resulted in more psychotic episodes in those who use this drug. In this report, the most predominate forms of heroin in Texas are Mexican black tar and powdered brown. Powdered brown heroin is black tar converted into a powdered form by combining the drug with diphenhydramine or other components. A recent development notes that black tar heroin is being sold on the street in a similar way to crack cocaine. Dealers are packaging their product in baggies or balloons and assigning them brand names such as "Mud" or "Ace of Diamonds". A 2014 SAMHSA report showed 5,810 individuals enrolled in alcohol treatment in Texas, totaling in 17.7% of all Texas drug rehab admissions for 2014. Alcohol treatment in Texas remains a leading rehab emphasis due to the number of residents who abuse and are dependent on alcohol. Recovery from alcohol addiction involves considerable determination and focus. Programs to treat alcohol addiction can vary depending on the type of facility the person chooses to enroll in. There are inpatient programs, outpatient treatment programs as well as hospital based alcohol treatment programs in Texas. The length of treatment fluctuates and can range from less than a month to several months for long-term alcohol treatment in Texas. In the 2014 Texas Behavioral Health Barometer, SAMHSA reports "Texas's percentage of alcohol dependence or abuse among individuals aged 12 or older was similar to the national percentage in 2012'2013." Additional statistics from this survey reveal "In Texas, about 1.4 million individuals aged 12 or older (6.7% of all individuals in this age group) per year in 2009'2013 were dependent on or abused alcohol within the year prior to being surveyed. The percentage did not change significantly over this period." Inpatient vs outpatient treatment in Texas delivers two different rehabilitation experiences. The first, inpatient treatment programs have the client move into the facility during their recovery. This form of rehab is more intensive than outpatient care and provides additional services (e.g. detox, 24/7 support and a substance-free living environment) that are not available when attending an outpatient treatment center. The second type of rehab, outpatient treatment, allows clients more flexibility in their schedule and the opportunity to remain at home during their recovery. Additionally, many recovering individuals are drawn to outpatient treatment in Texas because this type of program is often more cost effective and less of a commitment than inpatient treatment. The National Survey of Substance Abuse Treatment Services (N-SSATS) conducts a yearly survey of treatment facilities. This survey is performed by the Substance Abuse and Mental Health Services Administration (SAMHSA). The yearly survey collects data on rehab centers such as their location, services offered and number of clients enrolled. The most recent survey taken on March 29, 2013 in Texas disclosed there were 461 substance abuse treatment facilities located in the state at the time of the survey. The survey indicated there were 34,704 clients in substance abuse and the survey response rate in Texas was 92.5%. Of the 461 reported substance abuse treatment facilities, 372 were outpatient treatment, 127 were residential and 41 were hospital inpatient programs. While not every type of treatment program works for every addict, statistically speaking the most successful form of treatment is inpatient. The Treatment Episode Data Set (TEDS) regularly compiles data for discharges aged 12 and older from substance abuse treatment programs here in the United States. In this report, statistics on treatment completion, length of stay in treatment and other important details are collected. Data from 2011 TEDS report on Discharges from Substance Abuse Treatment Services reports "The completion rates for residential treatment (54 percent for short-term residential treatment, 53 percent for hospital residential treatment, and 45 percent for long-term residential treatment) were higher than in the less structured outpatient settings (37 percent for outpatient treatment, 33 percent for intensive outpatient treatment, and 12 percent for outpatient medication-assisted opioid therapy treatment)." These numbers indicate that inpatient programs have more program completions resulting in greater success for graduates of these programs. What Does Inpatient Rehab in Texas Involve? Choosing inpatient treatment involves packing up and moving into the rehab center during recovery. This means bringing essentials such as toiletries and clothing, while leaving behind negative influences in order to focus on getting clean. A number of inpatient treatment programs include detoxification services. This helps their clients remove the drugs or alcohol from their system and prepares them for the hard work ahead. One of the many benefits of inpatient treatment is learning to live by a structured daily routine and the sense of community inpatient treatment embodies. In addition, there are a number of rehabilitation-related activities that take place while enrolled at an inpatient treatment center including group meetings and individual counseling sessions. The 2013 data report from N-SSATS on March 29, 2013 indicates there were 127 residential inpatient programs and 41 Hospital inpatient programs operating in Texas on that day. Of the 127 residential inpatient treatment programs in Texas at that time, 87 provided short term care, 108 provided long term care and 38 offered detoxification services. Looking for more information about nearby options for inpatient treatment in Texas? Please speak with one of our addiction specialists. What Does Outpatient Rehab in Texas Involve? Outpatient treatment involves attending the rehab facility on a regular basis while continuing to live at home. This treatment method is best suited for individuals who are able to maintain sobriety when not physically present at the rehab center. Outpatient treatment in Texas allows the recovering person to continue most facets of their day to day life while receiving addiction rehabilitation services. Information from the March 29, 2013 N-SSATS report shows there were 372 outpatient treatment programs in Texas. Many of these facilities provide more than one type of care, making their rehab centers versatile for a variety of treatment types. Of the 372 outpatient treatment centers in Texas, 304 provided regular outpatient care, 226 delivered intensive outpatient care, 57 offered day treatment/partial hospitalization, 45 provided detoxification, and 79 delivered methadone/buprenorphine or Vivitrol maintenance. For more information about nearby options for outpatient treatment in Texas please speak with one of our addiction specialists.